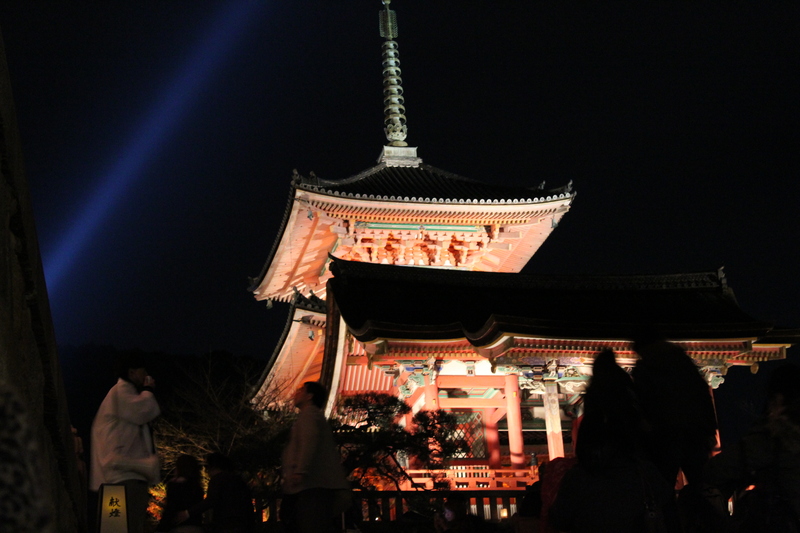 On Sunday, My friend Meghan and I went to see the last night of the Illumination of Kiyomizudera in Kyoto. 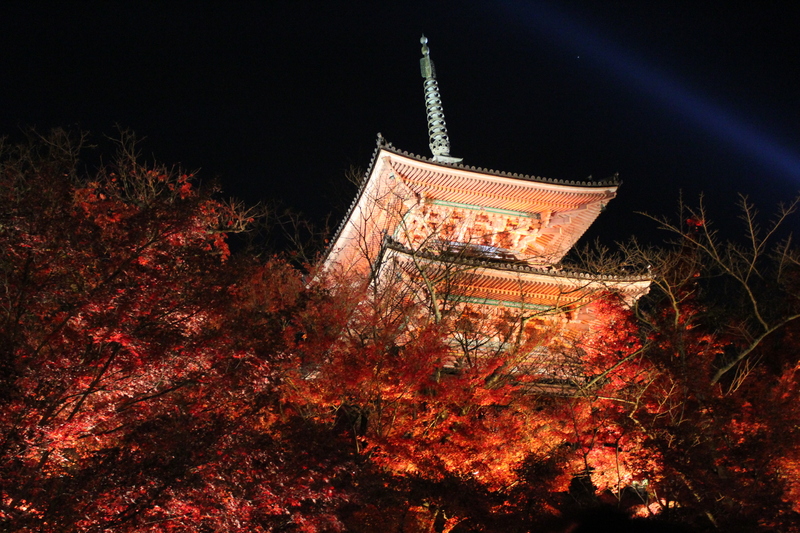 From the middle of November to the Beginning of December, Kiyomizudera is lit up for a few hours during the night time to view the temple and the beautiful colored leaves that are on the numerous trees around the temple. This is my 3rd time to see the temple, but I wanted to see it lit up at night, because it has a different feel to it at night time. There were a lot of people going to see the last night of it, but it wasn’t as bad as I thought that it would be. I thought it would be a sea of people and that we wouldn’t be able to move at all, but that wasn’t the case at all. I think it was because it was a Sunday night and it was the last night of the illumination. 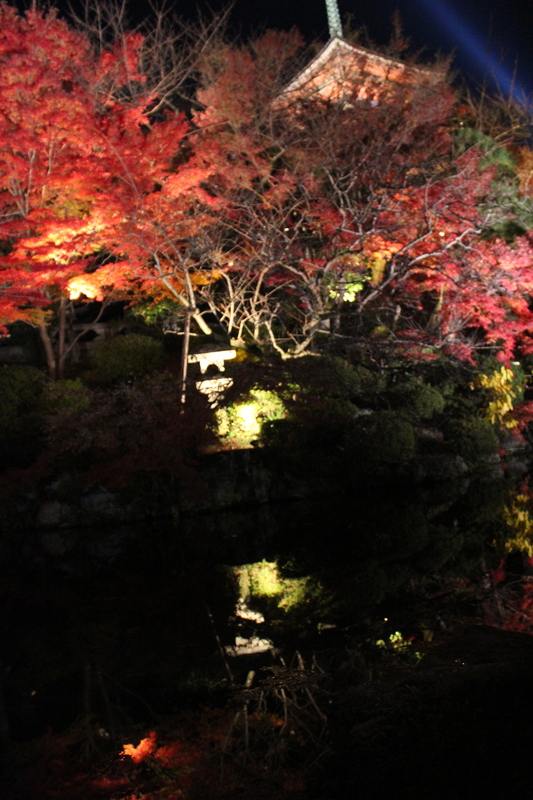 The main thing that I can say about the experience is that the leaves were beautiful and it is a totally different experience going at night than during the day. 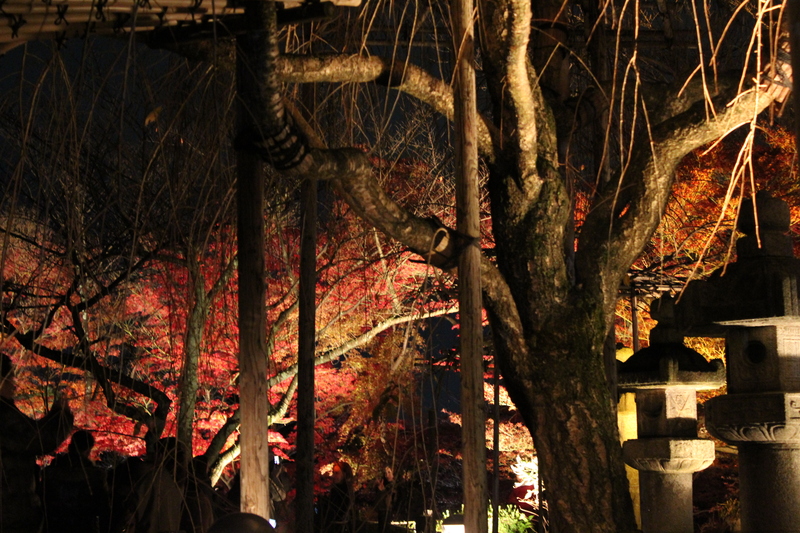 I think it is a must see if you come to Kyoto during the Fall! I always love when the leaves change during Fall and they had been doing it on my campus here in Japan for a while now. I thought that there wouldn’t be any leaves anymore, because there has been lots of strong wind lately. I was wrong! The trees were still covered in brightly colored leaves and it was such a site to see! I hope that some of you will get the oppertunity to visit this beautiful temple someday! I can’t wait to talk again when you get back, my dear amigo! !